Orange you going to stay – Where Is My Teaspoon? So long since I wrote a blog post! I’m so sad I don’t have as much time to bake these days but am counting down the time until Christmas when I’ll be able to bake non stop. 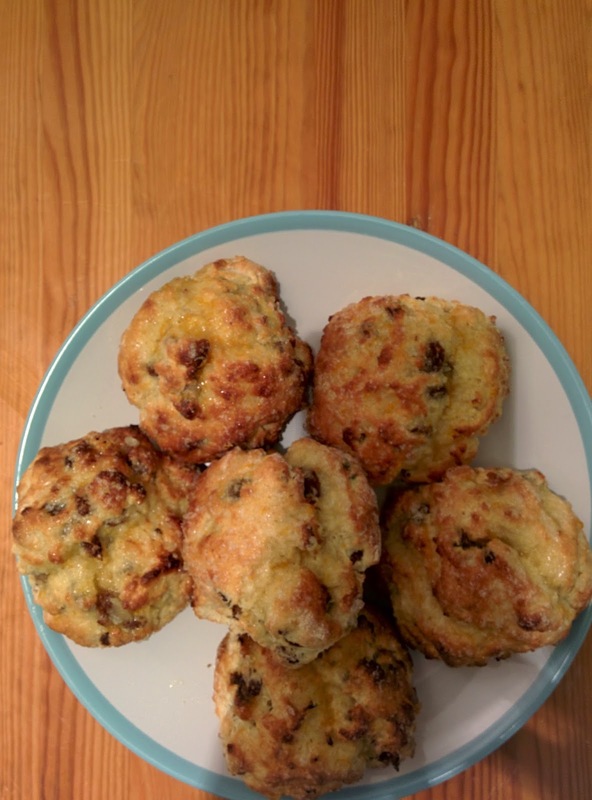 Today I’m going to share a really good Orange and Sultana Scone recipe. I brought these into work and they got praised so hoping you’ll all enjoy them too. Sorry for the less than perfect photos! First thing you have to do for this recipe is make your cup of tea. Add the sultanas into the tea and allow the fruit to soak up the liquid. 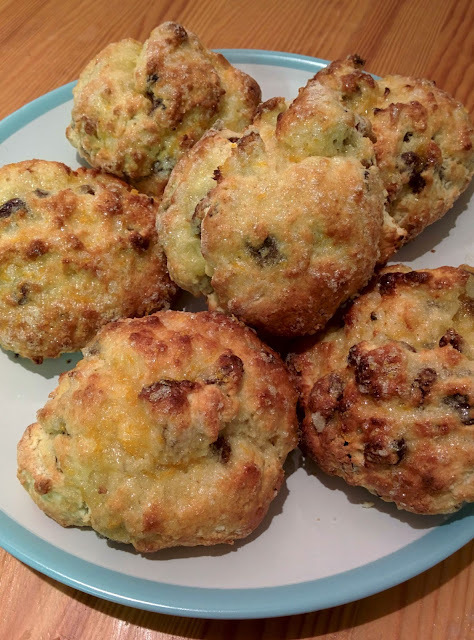 The flavour of the tea will work perfectly with the orange zest which you’re going to put in your scones, but most importantly it will allow the fruit to stay really juicy and leave you with moist scones. Preheat your oven to 200 degrees. Remember, for scones you need a good, hot oven. Weight out your flour and baking power into a bowl. Using your fingers, rub in the butter into the flour until it resembles fine breadcrumbs. Mix in your sugar and add your fruit. Zest an orange and add as much or as little as you like to your mix. I gave these a big burst of orange so added 2 tbsp of orange zest. If you like a more delicate flavour that’s fine, just add less. Measure your milk and beat it together with your eggs. Pour it into your flour and mix gently until it forms a soft dough. Tip out onto a floured surface and knead ever so slightly. Remember, with scones you mustn’t over handle them! Now, cut them into round shapes and brush with egg wash.
Bake in the oven for 10 minutes. After the ten minutes, take them out but keep your oven on. Grab the oranges you zested earlier and squeeze them into a bowl. Add 75g of every day sugar and mix. Use this as a syrup glaze for your scones. Get yourself a pastry brush and apply glaze to each of your scones. Place back in the oven – watch them now, you want them to go crispy but be careful they don’t burn. I usually leave mine in the oven for 3-5 minutes. Turn them every so often though to make sure they bake evenly. Cool on a wire tray and serve with helpings on butter and a pot of Earl Grey. Yum!